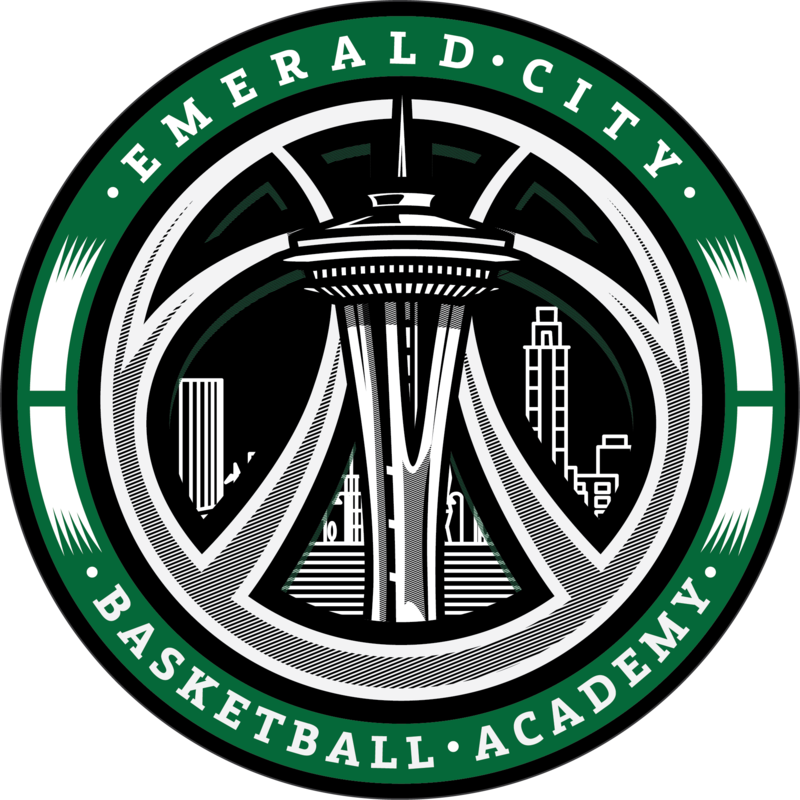 At Emerald City Basketball Academy players can train once, twice or multiple times a week depending on what the player wants to commit to. The ECBA training program is widely known as one of the best training programs around. The training at ECBA is very unique and has a style of its own. ECBA has produced hundreds of Division I, II, III and NAIA players. The ECBA training program offers five days a week of player development, where we offer specialized classes created by Coach Baskett. All ECBA trainers, at all gyms, are trained to deliver the same high quality, proven training system that is based on fundamentals, and the unique training philosophy developed by Coach Baskett. All ECBA trainers are certified by Jasen Baskett and follow Coach Baskett's training manual, known as The Basketball Bible, 12 months a year. Jasen Baskett took 3 years to develop a week-by-week, 104-week basketball training manual. This manual covers the following courses: Point Guard, Wing, Shooting, Post, and Combo Guard training. The ECBA training manual is a week-by-week progressive building block system that focuses on one-to-two topics per month. These topics are learned inside and out with all different angles and situations. Each week there will be different skills added to the core topic and then built upon from week to week, just like kids learn in school. We offer classes that specialize in wing player development, combination classes that focus on different ways to succeed in different styles of offenses, point guard development, post development, and shooting. Within these classes, we focus on shooting form, moves to score, ways to set up shot opportunities, how to read the defense, and more. You’ve got to see us in action to really understand how much we can teach your son or daughter in such a short period of time. We extend an open invitation for you to come and watch one of our training sessions and see for yourself what makes ECBA such a unique program and how we can significantly improve your son or daughter’s game. Not only is ECBA's Training methods unique, but the philosophy in which it is built on is what sets us apart from the rest it. 1. Teach the body to master the skill so that the brain doesn’t get in the way during competition. Athletes can then perform the skill in live action play correctly without over-thinking, allowing them to perform at a higher level. 2. Shooting with live defense. Cones and other props don’t reach on you or try to block your shot. You must execute the skill against live defense and help defense in live game situations. I don’t believe in shooting over and over unguarded (a little is OK, but not a lot). 3. You must train the BODY-SKILL-MIND constantly to endure stressful situations in the BODY-SKILL-MIND. 4. Read-React-Attack situation training against live defense. This helps players play without thinking and raises a player’s basketball IQ by having the plan-of-attack mentality. Basketball is a 5-on-5 sport, not a 1-on-1 sport. To train against only 1 defender and no teammates doesn’t work. I want game players, not drill players. 5. The body must be trained outside its comfort level at exaggerated rates of speed and explosiveness. By consistently training at faster speeds that are outside a players comfort level, the body will eventually adapt to the high level of speed and quickness and gain a higher level of comfort.